Mobile apps have become very popular. They are making your life easier. You can buy flight tickets, book accommodations or trade on the stock exchange. There are a lot of trading apps out there so we save your time and selected the best free trading apps. What are trading apps great for? A trading app has all the functionalities what a web-based trading platform can provide. You can read financial news, find great trading ideas, buy and sell stocks and follow the price of your trades. You can even improve your financial education. However, trading apps are usually less convenient to use. We see the trading apps as great complementary tools to the web-based trading platform and other financial portals. For example, when you want to find a great stock, you can make fundamental or technical analyses via a computer more conveniently, but follow the price of your bought stock via a trading app. You can intervene very fast via an app whenever your position needs it, like selling your stocks. There are trading apps for all stages of your investment journey: the learning, the trading ideas, and trading. Besides the best apps for trading, we have also collected the best apps for charting, trading ideas, market data, news, and learning. These are the best trading apps in 2019, let's go ahead and look deeper into them. We start with the best trading apps. Mobile trading apps are key for staying up-to-date when you are on the go. The best trading are great both in functionalities and user-friendliness. We test the mobile trading apps of 20 brokers. We have selected those having 5 starred mobile and the highest overall scores. If you are interested in comparing brokers, visit the broker comparison page. Let's see the five best trading apps. Best for: stock trading with great research tools. Saxo Bank trading application is great. It has the same design and almost the same functionality as their web platform. See more in the Saxo Bank review. The app is available for Apple and Android. This means that you will get a great search function, a large variety of order types, customizable charts and personalized portfolio overview. All of these great features are displayed on a user-friendly interface. However, fundamental data and Saxo Select, a mix of mutual funds and robo-advisory-style service, are missing from the mobile app. Best for: free trading on a well-designed and very convenient platform. Robinhood optimized its brokerage service for millennials, so it has a very intuitive and well-designed mobile trading platform. We also liked the additional security features, such as the use of fingerprint sensors for accessing the app. 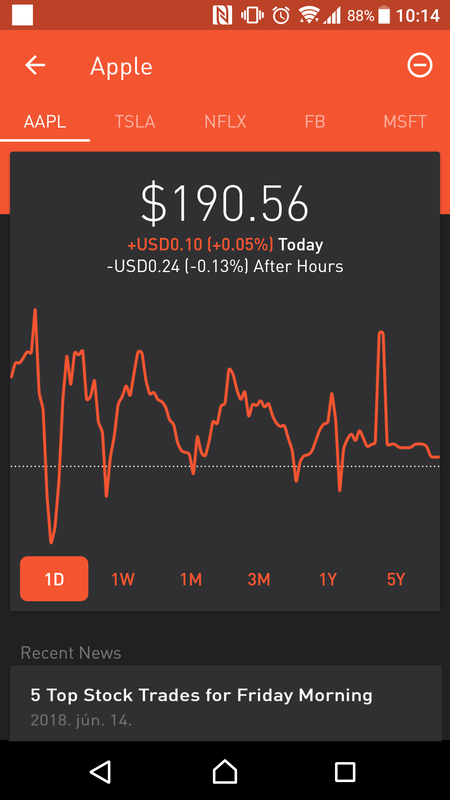 On the other hand, Robinhood's mobile app has very basic interactive charts. You can only see the asset's price moves, but can't edit or add indicators. Best for: trading forex and CFDs with any experience level. 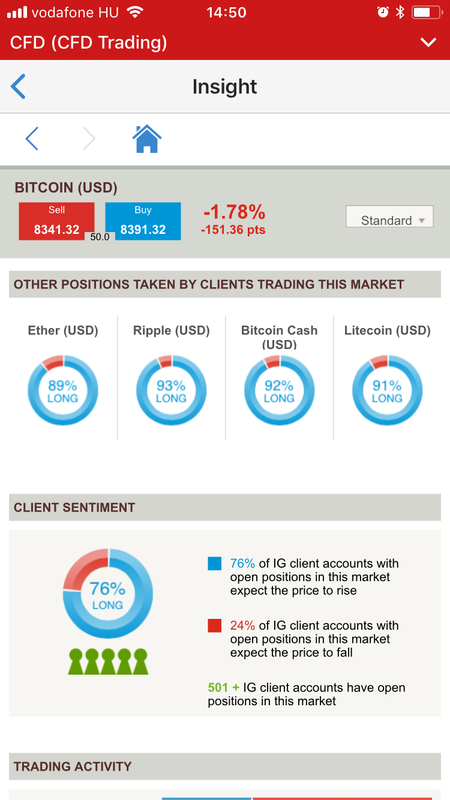 IG's mobile app is one of the best trading apps we have tested. It is available for Apple, Android and Windows. As an extra, you can also view your account and even trade using your Apple watch. The availability of technical analysis is immense. The trading functions are also well developed and user-friendly. 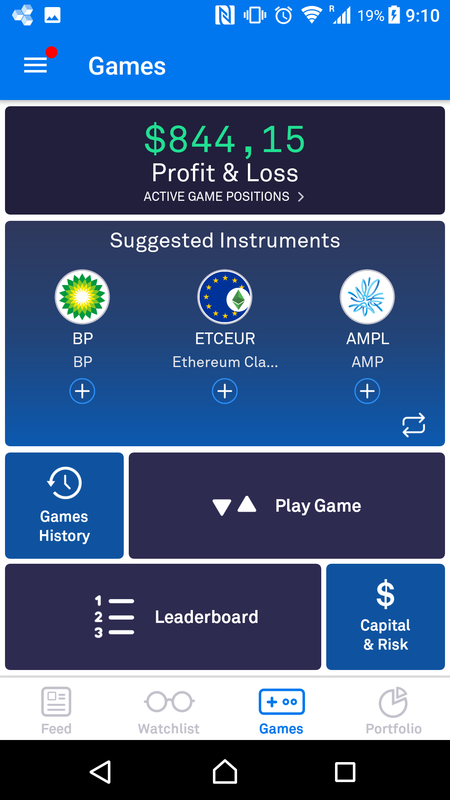 The app uniquely provides market data and research pages for each traded instrument. This is very useful for your own analysis. We truly enjoyed it. Within these research pages, you can access for example the trading sentiment for bitcoin or fundamental data of Apple. One thing we miss is the news section. You can access news specific to one security, but there’s no centralized newsfeed. Best for: social and CFD trading at low costs. eToro mobile trading platform is one of the most user-friendly apps we have tested. It has the same design and almost the same functionality as their web platform. Check the full eToro review. We also liked the social trading function which is eToro's unique feature. You can copy other traders. Beyond social trading, there are other social features. E.g. you can write posts or comments. Best for: CFD trading on an easy-to-use trading app with a great user experience. If you aim for a user-friendly CFD trading app, try Plus500. For login, you can use your TouchID, or keep you logged in. The app appears in the same language your mobile operating system is set. Within the functions, you have all the relevant ones you need for trading and following your open positions. However, the research and news functions are missing. So the app is great for execution, but not for research or analysis. When testing Plus500 mobile platform, we found some minor bugs. On a more exotic language setting, the account snapshot menu point did not open and we were logged out. The bug did not happen when we changed to English. We hoped you found the best app for your trading needs. Remember to visit our full broker reviews for more trading app reviews. If you want to invest or trade, the first thing is to find a trade idea. Then you can take a look at the chart and do a technical analysis. To do this, you need a great interactive chart tool with sufficient tools and technical indicators. The handier the interactive chart is, the more opportunity you have to find the right trading patterns. We tested the following 8 charting and trading ideas apps: Market Trends, NetDania Stock & Forex Trader, StockMarkets, StockSpy, StockTracker, Stocktwits, TradingView, Webull. There's nothing left but to see our top two trading apps for charting and trading ideas. Best for: interactive charting and trading ideas community. 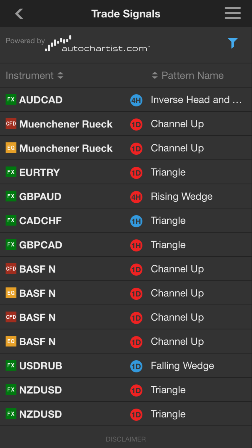 TradingView is a really great app for charting. We enjoyed it a lot. The interactive charting function is amazing. It is unbelievably user-friendly and it has an amazing design. Another great part of the community around it, which shares tons of trading ideas and you can join forum channels for trending topics like cryptos. On the flip side, you should be careful with following other's trading ideas. Even when each user has a reputation score and the number followers. Best for: sharing and watching trading ideas. As the Stocktwits' name suggests this app is like the traders’ Twitter. The financial and investing community can publish a maximum of 140 characters messages containing trading ideas, trends, charts and whatever trading-related content. Then the users can share, comment or like the published messages. You can tag these messages as bearish and bullish, i.e. you decide if the content has a negative or a positive overtone. The bearish-bullish tagging clearly shows how the market sentiment changes. We liked the design as it was really clean and user-friendly. Furthermore, you can search for a given product and you will see all the related tweets and basic data, like P/E, EPS, 50 days moving average or average volume. You can also add the selected products to your watchlist which helps you to find those more easily. On the flip side, we missed the chart analyzing function. We liked Stocktwits as it is really unique and fulfills its purposes: making a financial and investing community. We are sure you could find your app for charting and trading ideas. You can also get trading ideas from online broker research pages. You can check which broker has a great research on our broker comparison table. Both using the right sources of information and building your trade strategy on the right data is really important. It is important and is not easy to do. It's not an exaggeration to say that in the past two decades information was one of, if not the most important resource. In recent years, the data became another important factor beyond information. The 9 evaluated apps are: Benzinga, Bloomberg, CNBC, Finimaze, Investing.com, MSN Money, Seeking Alpha, Simply Wall Street, Yahoo! Finance. Let's see the best trading apps for market data and news. Best for: researching and analyzing market news and market data. Investing.com is really unique as it has all features what can ease your decision-making in trading. The number of functions is outstanding, you can use this app from reading news to a very detailed stock analysis. The news is categorized based on asset classes, so if you are interested in stocks you can read news relating to that. Economic calendar shows you all important events coming. If you prefer technical analysis, you can use the main technical indicators or the detailed charts. Furthermore, you can read trading ideas provided by professional analysts. Not only professional will find this app useful, but also the beginners since learning videos, webinars are provided. Watchlists and alerts are applicable, so you can follow up the big events impacting on your trades. After you made analysis and detailed research, you don’t have to open another app to execute, you can do it through Investing.com’s platform. The application's interface is really user-friendly and well-designed. Best for: high-quality market news and data on a well-designed platform. 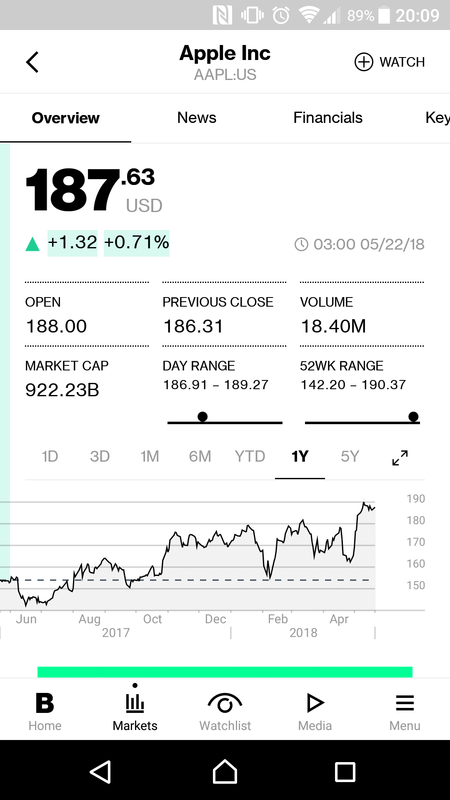 Bloomberg is a high-quality app which provides news and market data on a clean and well-designed platform. At the main page, you will find news, videos, and audios. News can be filtered by categories, like markets or technology. News usually contains videos, audios, and illustrative pictures. Products are categorized based on asset classes, i.e. you will find indices, stocks, currencies and other asset classes. When you select a product, the overview contains basic market data, like market capitalization or volume and the product's performance in comparison with similar products. Beyond market data, you will see the related news and the main financial data, like income statement or balance sheet. Finally, you can set watchlists and you will get alerts about the important happenings. On the flip side, the app usually works slowly. You can also get market news and data from online brokers. On our broker comparison table you can check which broker has a great research. The ancient Greek philosopher Plato said that "The beginning is the most important part of the work". It's not different in the world of finance. If you don't have a clue what a stock is and how it works, firstly you better to deepen your knowledge. You are lucky because you have countless opportunity to do that. You can see films, read books, watch videos, take part in webinars, and of course use apps. Furthermore, we think the learning more efficient if it is combined with gamification. The 7 evaluated apps are the following: Best Brokers, ForexHero, Invstr, Learn, Stock trainer, Tradehero, Trading Game. From this group, we selected our two top picks. There's nothing left but to see the two best apps for learning. Best for: practicing the trading on a nice and easy-to-use platform. Investr is an app which combines the practical learning with gaming. We really liked the app's nice and easy-to-use design. Beyond the design, you can use many interesting and useful functions. When you start compiling your trading portfolio, an account summary shows your profit & loss and your capital allocation, i.e. the share of your money in the different asset classes. Furthermore, you will have news from prominent third-party providers, like Financial Times or Reuters. When you click on a product, you will see a not detailed chart and the related feeds, and you can compare its performance with other products. There is also a competition among the users and the bests are awarded every week. Moreover, the users can follow each other, and they can also use different social functions, e.g. comments, share or like. 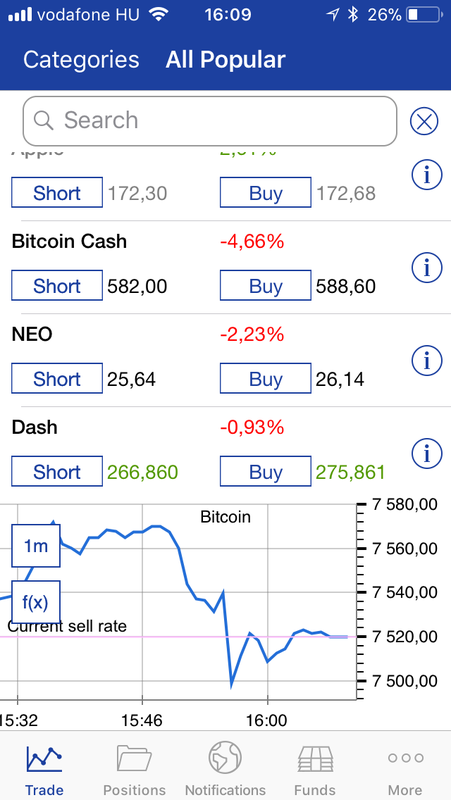 The app is suitable for practicing trading, but the educational texts are really missing. Best for: learning the basics of forex trading. With Trading Game you will learn the basics of forex trading and have fun at once. The app provides educational texts about the different aspects of forex trading. At the end of each text, you have to answer to a quiz, and your knowledge is your wealth as correct answers give you virtual money. You can also set the difficulty of the questions. Furthermore, you can grow the amount of your virtual money with virtual trading as well. At trading section only a few assets, like EURUSD or gold are available. 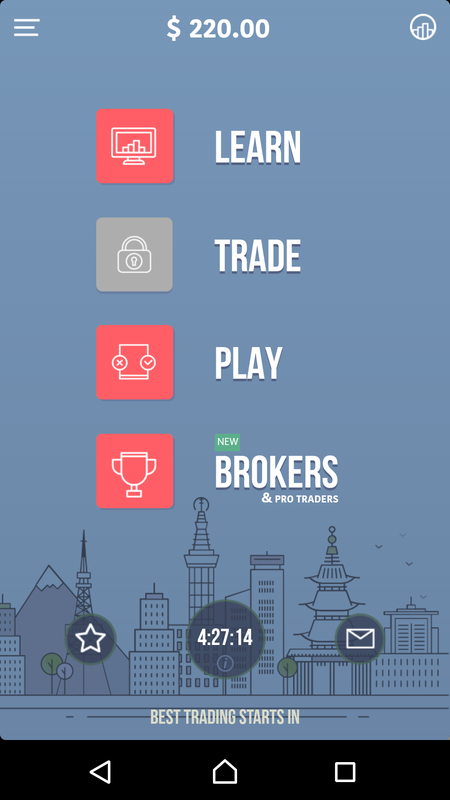 Trading Game's users can compete with each other, the goal is to collect the most money. Finally, the app has an easy-to-use and clean design. 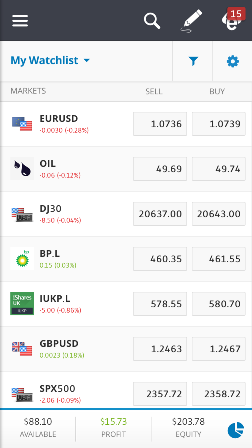 On the flip side, Trading Game mainly focuses on forex trading. Online brokers also provide education. On our broker comparison table you can check which broker has a great education function. If you are still uncertain which are the best trading apps in 2019 for you, this little summary may provide further clarity. 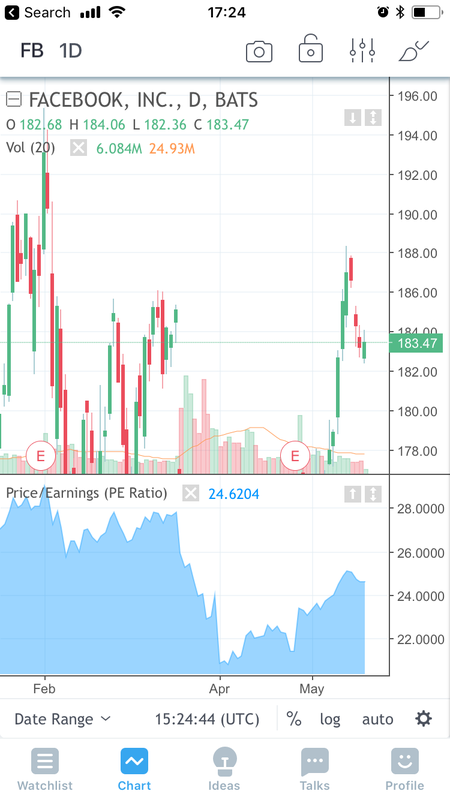 Saxo's app is the best for stock trading, and it has a great search function, a large variety of order types, customizable charts and personalized portfolio overview. Robinhood's mobile app is the best for free stock trading. It is extremely intuitive and well-designed. IG's mobile app is the best for forex trading. It has a great design, provides a superb technical analysis tool and a great research support. eToro mobile platform is the best for social and CFD trading. It offers a very user-friendly and nice looking platform. Plus500's app is the best for CFD trading. It has a well-designed platform with a good search function and a clear asset classification. 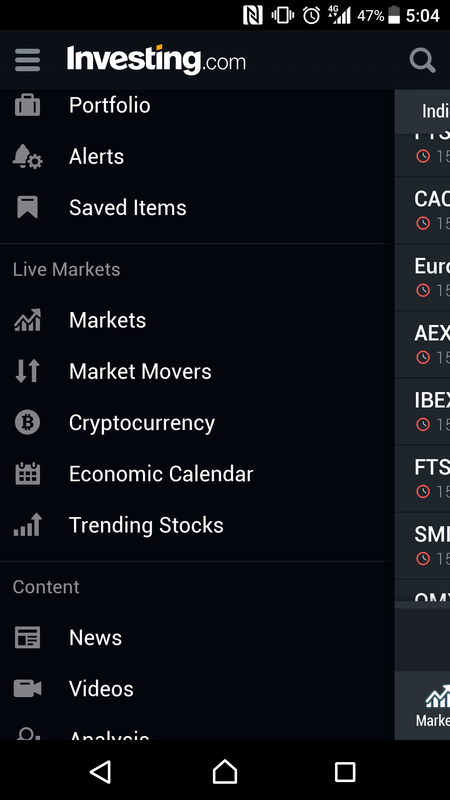 TradingView and Stocktwits are our top picks for best apps for charting and trading ideas. TradingView is great for charting and analyzing functions, it has a great design. 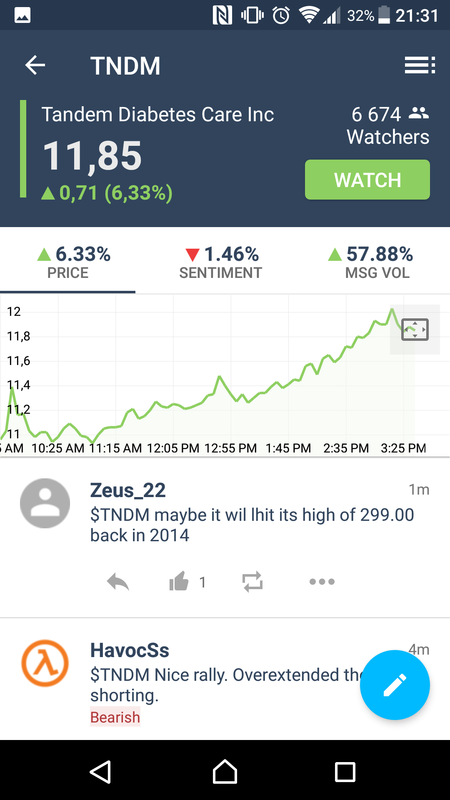 Stocktwits is a great app for sharing and watching others trading ideas. Investing.com and Bloomberg are our top picks for best apps for market news and data. Investing.com is a really diverse app offering a wide range of market data and news. Bloomberg provides high-quality news and you can also watch videos or listen to audios. Invstr and Trading Game are our top picks for best apps for learning. On Invstr's great and easy-to-use platform, you can easily learn the basics of trading. Trading Game provides well-illustrated educational texts.